A case study of one of our Brownhills house clearances. Mr Doherty needed help with clearing the large property of a close friend who had passed away. He had asked for us to clear the house, including the large garage at the rear of the Brownhills property. He was only available during some weekday mornings. 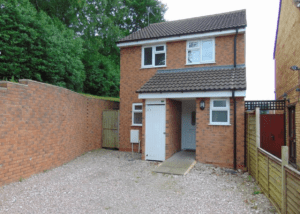 We were appointed to clear a spacious three bedroom property and large detached garage in Brownhills. Mr. Doherty, a close friend of the deceased was only available on certain mornings in the week to allow us access to the property. We organised with Mr. Doherty that we do the entire clearance over two mornings, starting at 9am and finishing at 12pm on the days that best suited his work schedule. This meant the team organised the rooms and order of the Brownhills house clearance to make each day efficient as possible. Two bedrooms were full with mainly furniture, with one occupying an impressive collection of clocks, including a number of Seth Thomas mantel clocks, a charming carved Black Forest cuckoo clock and a beautiful silver antique pocket watch. The third bedroom had a large bed and wardrobe, with many clothing items. The staff also emptied downstairs and the backroom that had various collections of books, newspapers and mainly recyclable goods. The double garage was filled with gardening tools, rusty mechanic tools, lengths of wood and various garage clutter. Two van loads were used to clear out the property, one on each morning, with all waste being delivered to the local recycling centre. Mr. Doherty was very satisfied with our flexibility with regards to timing and splitting the Brownhills house clearance between two days in the morning. He felt that we handled the clearance with the utmost care and this helped very much with what was a very sad and stressful situation. Give us a call: 0121-384-5650 – Free quote!